In the 2012-13 school year, 8 of the 23 North Lawndale elementary schools exceeded the district average composite score (52.5%) on the Illinois Standards Achievement Test (ISAT) and 4 exceeded the state average (59%). Of the six North Lawndale high schools, none exceeded the district average composite score (32%) on the Prairie State Achievement Examination (PSAE). A total of 3,349 students were enrolled in North Lawndale's 9 traditional elementary schools in 2014-15 school year. A total of 3,178 students were enrolled in North Lawndale's 7 charter schools. Elementary Schools: Map of all elementary schools in North Lawndale. High Schools: Map of all high schools in North Lawndale. A total of 2,535 students were enrolled in AUSL turnaround and magnet schools. 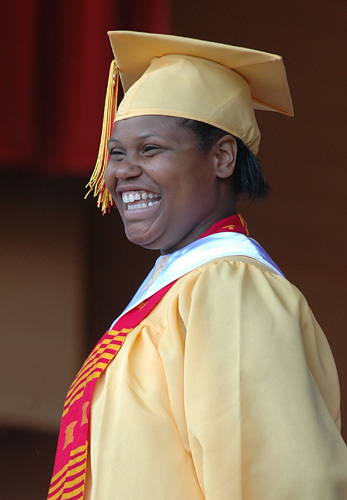 A total of 2,215 students were enrolled in North Lawndale’s 6 high schools.